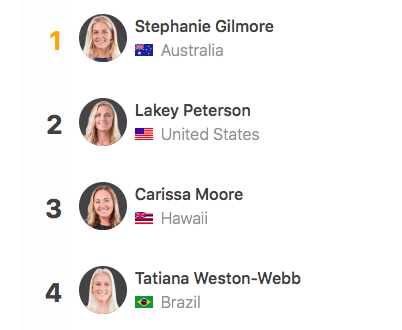 Tatiana finishes off her 2018 campaign at #4 in the World! Tatiana had a huge 2018 on the Women's Championship Tour! She is one of the most dangerous and consistent competitors in the top 10. We want to send a HUGE congratulations to the young talent and cant wait to get started on her 2019 campaigne!